Houston Llew's "Llewcie" retires on November 1st! 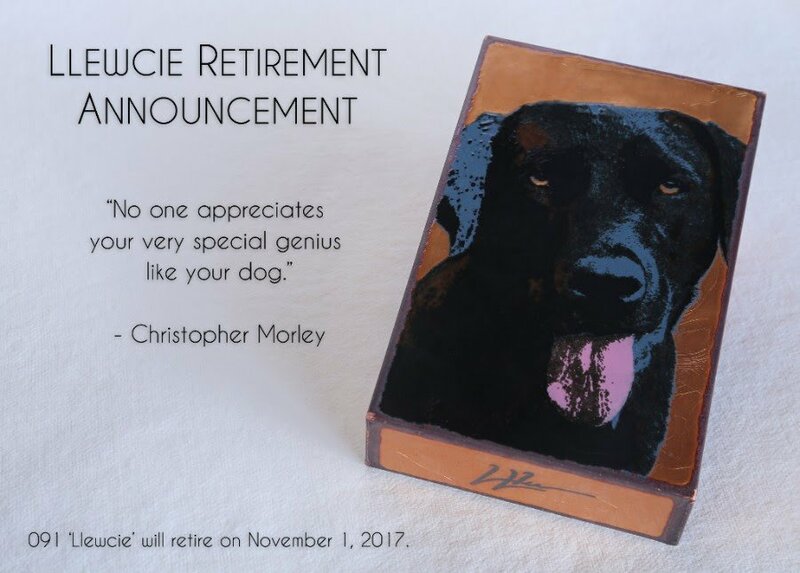 Houston Llew’s “Llewcie” retires on November 1st! In 2004, Houston adopted a black lab puppy and named her Llewcie. His life and hers changed forever. When Houston formed his studio, Llewcie stood by and watched him work. Houston designed a tile for her and created it to honor her life. When Llewcie passed on to dog heaven this fall, Houston announced the Spiritile’s retirement, set for 11/1.